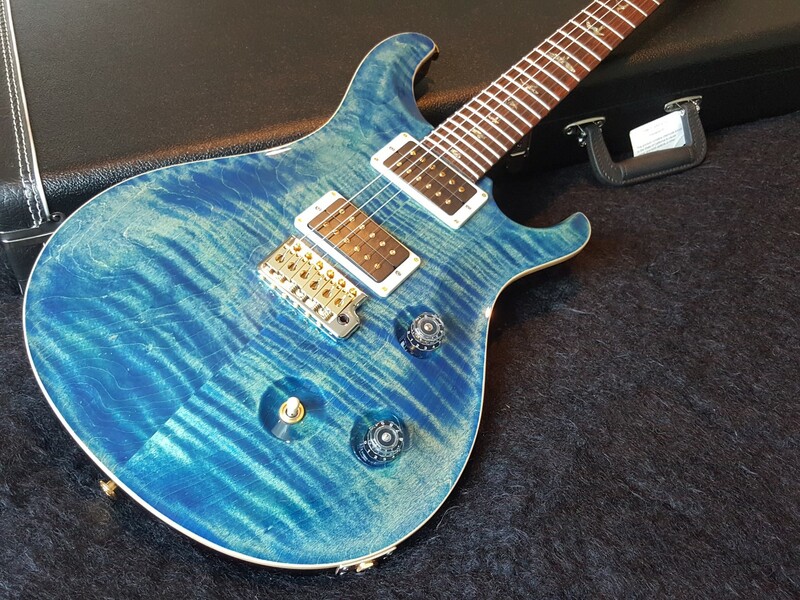 Brand new stunning PRS 2017 Custom 24. Faded Whale Blue. Not been a demo in a store, still in a box.The Custom 24 is the quintessential PRS guitar. This iconic instrument was the first model that Paul Reed Smith brought to the public at PRS Guitars' first Winter NAMM show in 1985 and has been a top seller ever since. Played by internationally touring artists, gigging musicians, and aspiring players, the Custom 24 features PRS's patented Gen III tremolo system and PRS 85/15 pickups with volume and tone controls and a 5-way blade switch. 85/15 pickups were personally designed by Paul Reed Smith to offer remarkable clarity and extended high and low end. RRP $5999 Layby available www.guitarsrock.co.nz The Custom 24 is the original PRS. Since its introduction, it has offered a unique tonal option for serious players and defined PRS tone and playability. Pickup Switching Positions Position One: Bridge humbucker Position Two: Bridge humbucker with neck singlecoil, in parallel Position Three: Bridge and neck humbuckers Position Four: Neck singlecoil with bridge singlecoil, in parallel Position Five: Neck humbucker BODY Top Wood - Carved Figured Maple Back Wood - Mahogany NECK Number of Frets 24 Scale Length 25" Neck Wood - Mahogany Neck Shape - Pattern Thin Fretboard Wood - Rosewood Fretboard Inlay - Birds HARDWARE Bridge - PRS Patented Tremolo, Gen III Tuners - PRS Phase III Locking Hardware Type - Nickel ELECTRONICS Treble Pickup 85/15 Treble Bass Pickup 85/15 Bass Controls Volume and Tone Control with 5-Way Blade Switch Strings 10's Includes Case and all case candy.